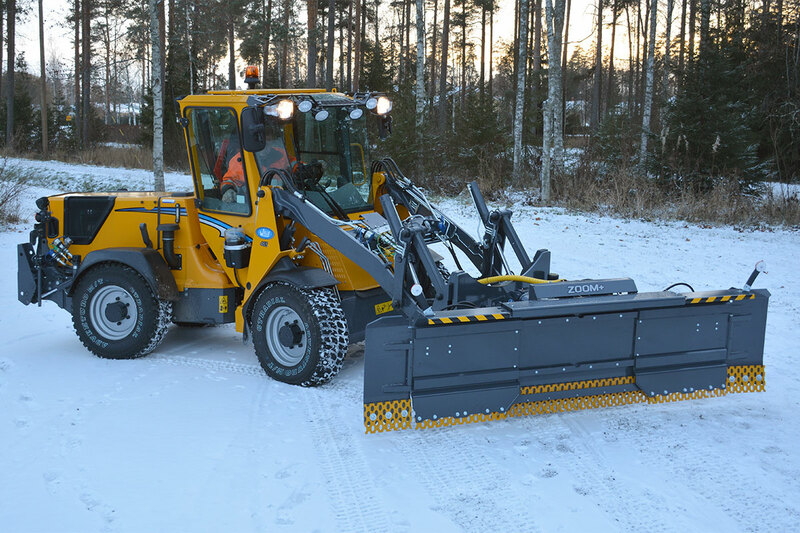 The zoom plow has been made for plowing both narrow and large areas and for pushing of snow. 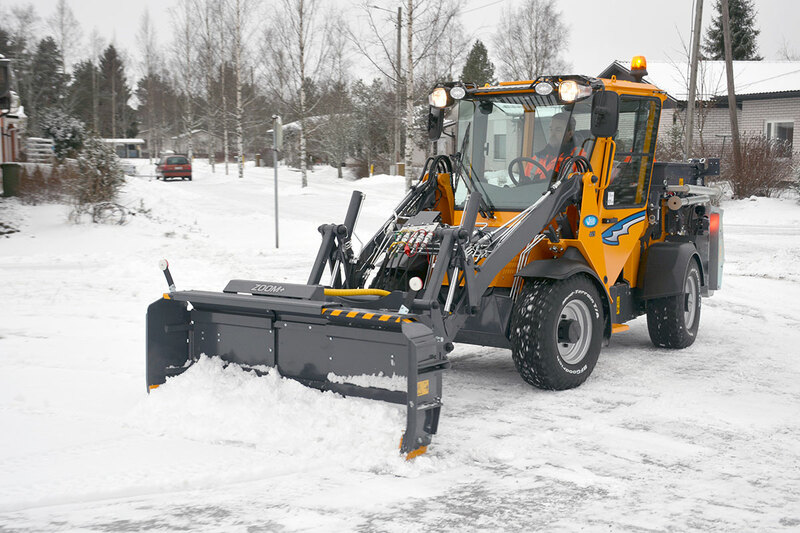 The plow can be hydraulically extended on both sides, which allows you to adjust the plow width to the area to be plowed. From the cabin you can steplessly adjust the plowing width, turn the side wings and select on which side the plow pushes the snow. 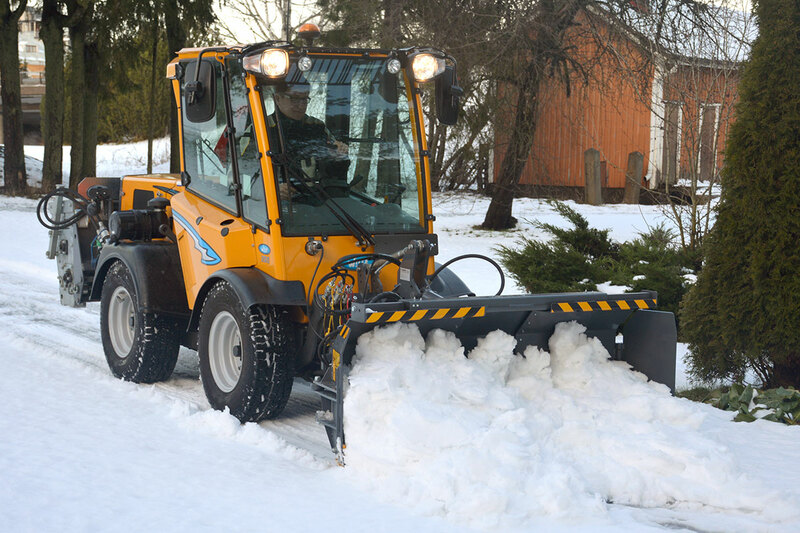 The plowing leaves a clean trace even on uneven surfaces, because the plow floats in vertical direction and tilts sideways thus following the shapes of the terrain. The adjustable wings contain safety valves which minimize the damage in potential collisions.